Under what conditions is your flight delay eligible for compensation? In this instance you can, regardless of the distance, withdraw from your flight. The airline is obliged to either reimburse you or offer you alternative transportation to your destination. In this case, you're eligible for a stay in a hotel, including transport to and from the airport. Contact the airline directly and ask for confirmation of your hotel room and transfers to be provided in writing. Important: Don’t take any excuses! Vouchers for food or hotels don’t negate the airline’s responsibility to pay your compensation. Easyjet’s main hub is located in London, and it operates between 133 destination airports in 33 countries across Europe, with 17 of these airports located in the UK. The airline transported 73 million passengers in 2016 using 254 Airbus aircraft. It is a well established airline and the second largest low-cost airline worldwide. Despite being the UK’s most used airline for flights to Europe, easyJet’s departure times are not always upheld. 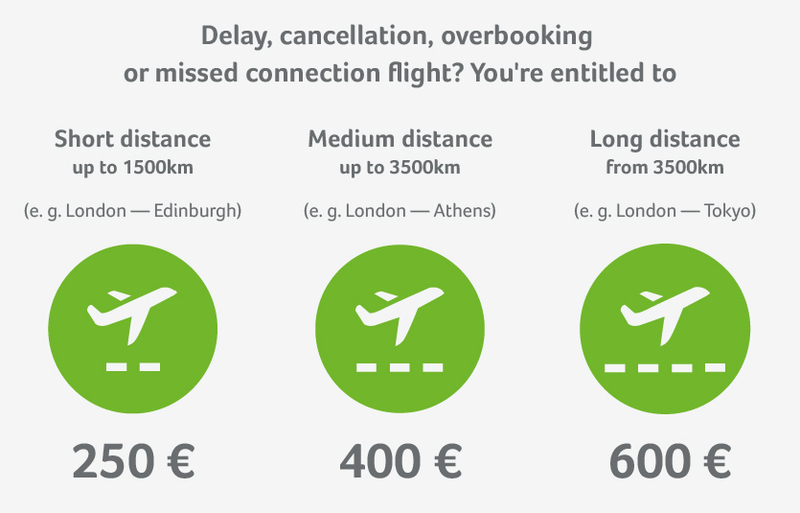 They racked up just over 1.1 million minutes of delay time leaving the UK in 2016, which based on their number of flights, leaves them in middling to bad territory for delays when compared to their competitors. The same can also be said of their rate of flight cancellations. This airline has the unlikeable habit of ignoring or rejecting valid claims from passengers for compensation. There are a lot of outstanding claimable cases due to the sheer volume of annual easyJet flights. They are more likely to settle a case if you leave it in our hands. When flying with easyJet you can check-in online up to 30 days before your flight departs and as late as two hours before the departure. Checking-in in advance online is highly recommended to avoid unnecessary delays to your journey. This can be also be done via their app, a useful tool to have as it will also keep you updated on the status of your flight, such as your boarding time, gate number and any possible disruptions. More information about easyJet here.